Good News! 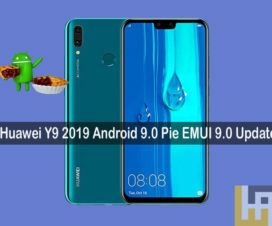 Huawei and its sub-brand Honor starts rolling out EMUI 9.0 firmware update to its next batch of devices. 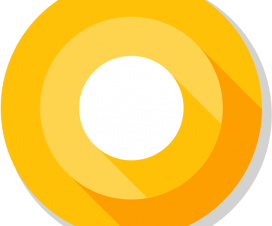 There are six smartphones in the list getting the Android 9 Pie-based EMUI 9.0 treatment. 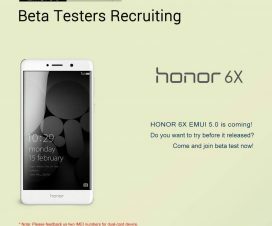 The list includes the Honor 7X, Honor 9i, Honor 9 Youth Edition, Huawei Enjoy 7S, Enjoy 8 Plus and Enjoy 9 Plus. Just a week ago, Huawei P20 Lite also received a similar update in several countries. 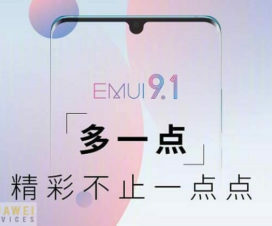 EMUI 9.0 is already available to download via OTA to all the above three Honor devices and two of the three Huawei devices. The third Huawei device i.e. the Enjoy 9 Plus have to wait for a day or two as the update will be released between 17 and 19 April. This could be the last major Android update to these devices as all of them belongs to the budget price category. So, if you own any of these eligible Huawei or Honor smartphone, go to Settings > System > System Update to manually check for updates. In case, the EMUI 9.0 update is available, download it via WiFi (saves data) and follow the on-screen instructions to apply on your device. Users of these smartphones can also get the Android 9 Pie update through the member services app by selecting the “Early Adopters” option. 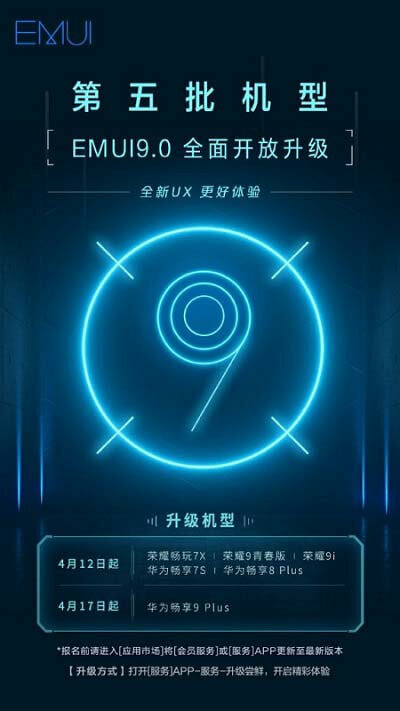 The latest EMUI 9 update increases the system response speed by to up 25.8%, apps startup is reduced by 102 ms and there is 12.9% boost to the overall system fluency. Already received the Pie update on your supportive Huawei/Honor model? Then do share your experience in the below comments.